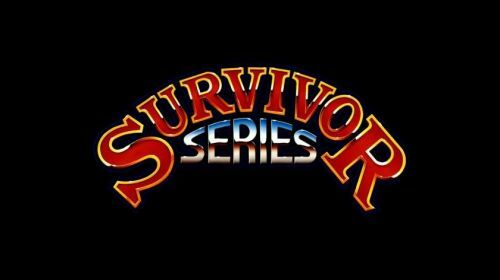 As we lament the end of summer and brace ourselves for the frigid winter winds, one wrestling supershow has entrenched itself, as the face of fall: WWE Survivor Series. Wrestling's fall classic has been one of WWE's big four pay-per-views since its inception in 1987. WWE's homage to Thanksgiving has been the backdrop for some of wrestling's most memorable moments like The Undertaker's debut in 1990 and his WWE Championship victory against Hulk Hogan at Survivor Series 1991. Who could ever the day the infamous Gobbledy Gooker hatched? Survivor Series has hosted historic moments like championships changes, such as Survivor Series 2015 when Roman Reigns won his very first WWE Championship only to lose it to Sheamus seconds later in heartbreaking fashion. These events are as synonymous with the fall holiday season as candy on Halloween and turkey on Thanksgiving, forever etched into the soul of the wrestling fan. While Survivor Series has hosted some of wrestling's most memorable moments, the fall classic will almost always certainly be known for its 4 on 4 and 5 on 5 elimination tag team matches. Just like the turkey on Thanksgiving Day, wrestling fans have come to expect such bouts. The teaming has allowed wrestling fans to have the opportunity to see unusual pairings and super teams featuring their favorite WWE Superstars. That tradition has continued for more than thirty years. This article was conceived as a tribute to those great teams, so join us as we break down the Top 10 all-time WWE Survivor Series teams. Team Cena gets the nod as our tenth team all-time Survivor Series team due more to their ability to overcome insurmountable odds, rather than pure star power. That doesn't mean the team wasn't loaded with talent. Joining one of the greatest wrestlers of all-time in John Cena, were Dolph Ziggler, Ryback (in his prime), and the behemoths Erick Rowan and The Big Show. Team Cena had the weight of the world on its shoulders as they faced WWE's Authority, a team led by the chosen one: the maniacal Seth Rollins. If Team Cena lost, Cena's teammates would be future endeavoured, putting their very livelihood in Cena's hands. If Team Cena was victorious; however, The Authority, an underhanded corporate aligned group led by the nefarious Triple H, would be removed from power. To make matters worse, Team Cena had a Judas on their hands. Terrified of losing his job with the company, Big Show would go on to join The Authority mid-match throwing a knockout punch that left Cena incapacitated and inevitably eliminated. Big Show would simply walk away from what was left of his team. Inevitably, this unsuspected chain of events left Dolph Ziggler alone against the devil's favorite stepchild (and Mayor) Kane and Seth Rollins. After Ziggler eliminated Kane with a Zig Zag, The Authority began to utilize the weight of its powers to slow Ziggler's comeback. Triple H would interfere in the bout, giving Ziggler a Pedigree that would have surely ended Ziggler's career, if not for Sting, who made his shocking WWE debut to even the score. After Sting hit Triple H with the Scorpion Death Drop, he placed Ziggler on top of Rollins for the pinfall victory and forever changed the landscape of the WWE in the process. WWE Rumor: Huge Survivor Series 2019 main event revealed?